to fly into desert winds. waiting for passage of time. hug stilled canyon walls and gaps. while releasing thoughts to earth. We come to the ledge and pause. Thoughts float into the abyss. Breath is restored. Stories rise. While traveling is such a joy, there is a sense of comfort in coming back home. 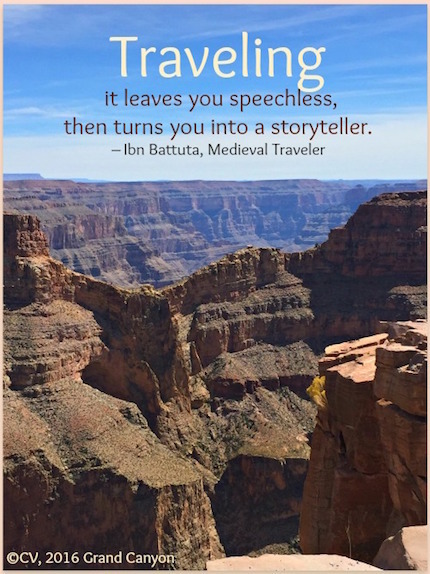 We have the opportunity to reflect upon and recount, as storytellers, our experiences that traveling brings to life. As we dig deeper into seared memories, we realize that the "real voyage of discovery consists not in seeking new landscapes, but in having new eyes." (Marcel Proust) With these new eyes, we build a picture of our travels for others to visualize and then we rest in the knowledge that the journey is within. Travel is but the mechanism to extend and enrich life. 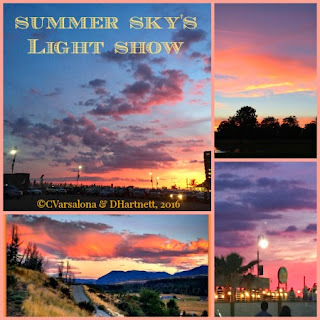 While I am working on the unveil of my Summerscapes Gallery of Artistic Expressions, I offer this post with original poetry to the Poetry Friday Round-up where Karen Edmisten is host. You can access Karen's site here and read through the delicious poem, Blackberry Eating by Galway Kinnell, that she is sharing. 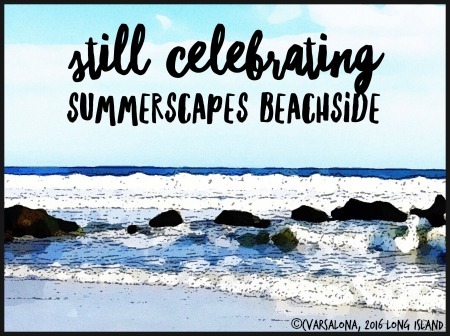 Stay tuned for the grand unveiling of Summerscapes. I would like to thank my Poetry Friday friends who offered their artistic endeavors to the gallery and all readers who support the effort to bring the spirit of poetry and poetry love to the public eye. Writing is an ever-evolving art that surfaces when voice meets page. The process does not stop there for revision is what writers do to fine tune their work. This month, Michelle H. Barnes at Today's Little Ditty has challenged teachers, bloggers, and writers to write a septercet. You can access the link here. 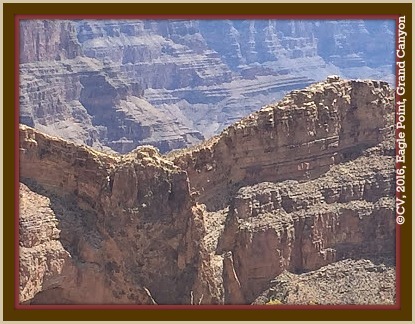 Since new forms are interesting to me, I tried my hand at composing a septercet but nothing surfaced until I stood at the precipice of Grand Canyon's Eagle Point last week. 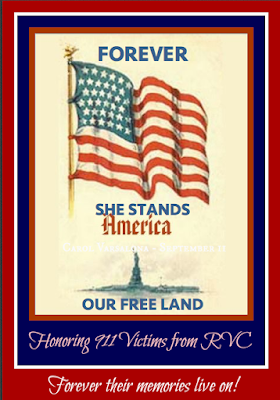 My original post can be found here. Since it spoke of nature as a theme, I navigated through the writing process to make a tighter connection to writing as Michelle requested for her padlet extravaganza of septercets. Hence, I needed to count syllables once again to fashion a new septercet. Within the pages of my mini-notebook, words floated in a space that waited for thoughts to be fashioned and revised. 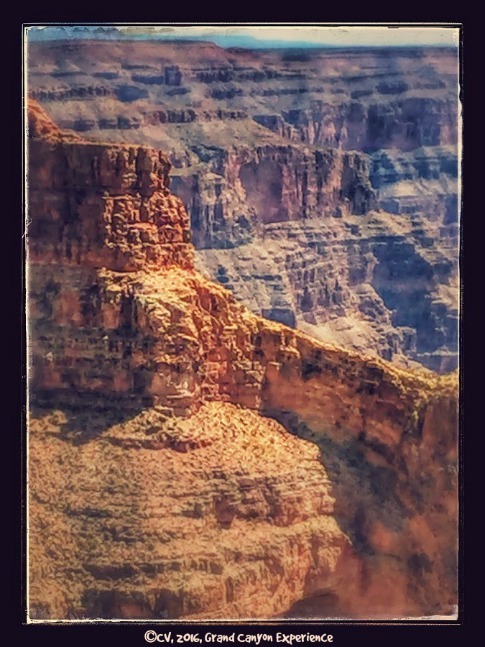 The Grand Canyon view below that I captured and Google Photos enhanced, provided the inspiration to recreate my original poem for the septercet challenge. to uncover its true essence. waiting for thoughts to appear. 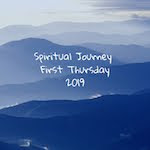 as guide, the journey begins. 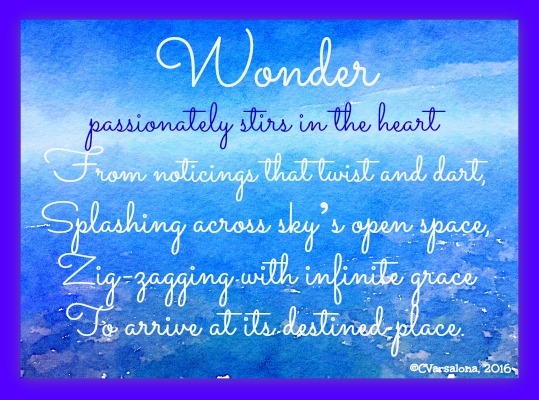 Each Tuesday, Two Writing Teachers offers space for bloggers, writers, and educators to capture a small moment in time. 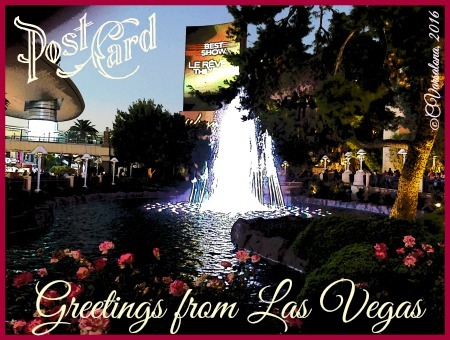 I offer this piece as part of my Las Vegas family trip series. Traveling brings life to the spirit of adventure. As an entry point into a rich experience, travel allows for a break from everyday routine. 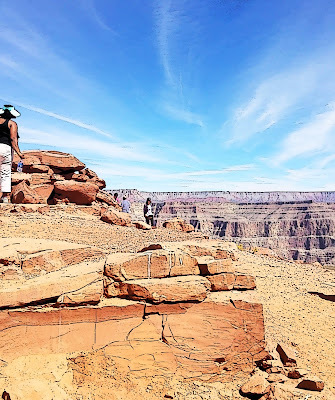 It can be an awe-inspiring trip with breathtaking views of the world that crosses time zones or it can be a simple turn-around journey to local sites. 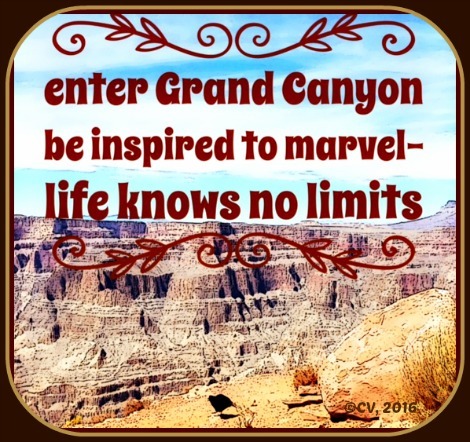 Last week, I felt the call of nature when I traveled to Las Vegas. From this point I traveled with my family to the Grand Canyon fulfilling one of my bucket list wishes. Upon arrival at Eagle Point, I was taken aback by the grandeur of the moment. In the immense vastness of the canyon that laid before me, I was struck by it as an amazing striated wonder of the world. Standing in front of the Point was one of those life moments for me that left me speechless. Coupling this with the augustness of the 360 configuration at Guano Point, the next destination, I found inspiration at the Canyon, appropriately called grand. Within the pages of my mini-notebook, words floated in a space that waited for thoughts to be fashioned. 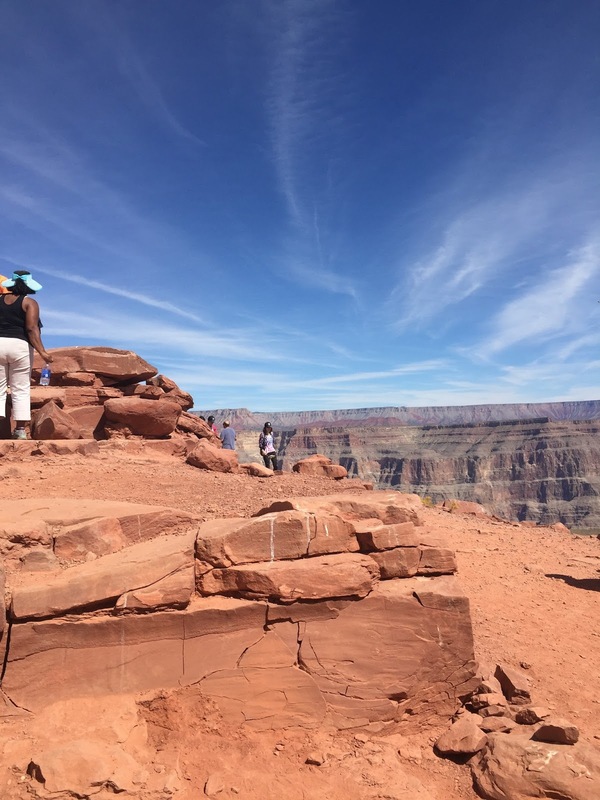 From inspiring moments at the Grand Canyon, photos were captured, snippets of ideas jotted, a draft composed, and a digitized image designed for later writing. hewn by the Creator's hands. The grand expanse is witnessed. at Eagle Point's landing ledge. Clouds roll by in wonderment. in this arid stretch of land. to find its expansive wings. 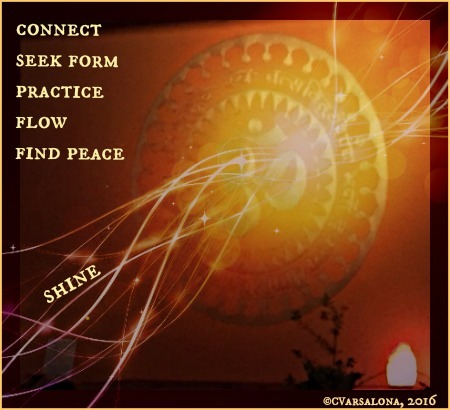 Chatter breaks through the stillness. Ruth Ayres and her Celebrate This Week community. You can visit that site here. Catherine Flynn, the host of Poetry Friday. That site can be accessed here. 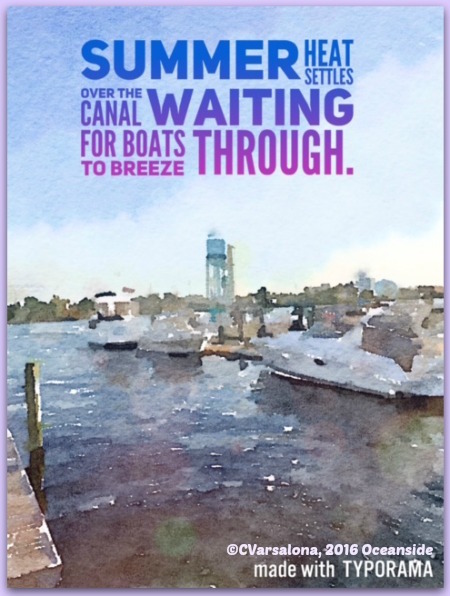 Traveling was a fulfilling experience but one delayed the unveiling of my Summerscapes Gallery. 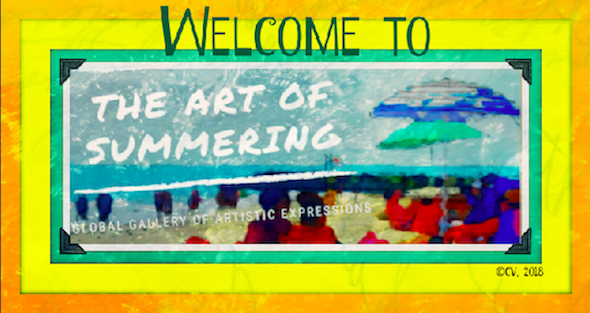 Stay tuned for the announcement of the summer global global gallery. You will be in awe of its many offerings from around the world. where CONTRASTS are the NORM. Within its small strip can be found: extravagantly designed structures with bright lights, fantasy settings, and modernistic touches. 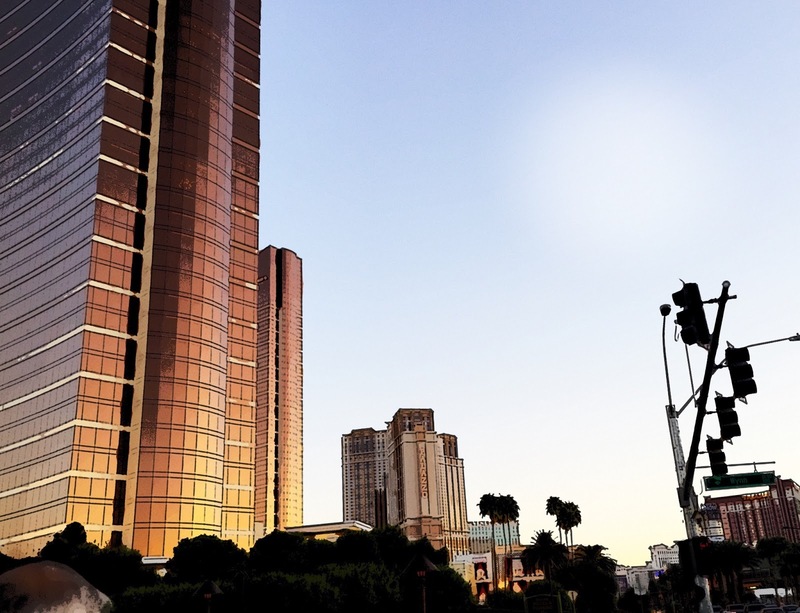 Global sites are also points of interest on the Strip. There are replicas of the Statue of Liberty, a roller coaster, the Sphinx, dancing water fountains, pirate ships, an erupting volcano, and much more. As eclectic as the structures are the varieties of food. Names of celebrity chefs, like Giada, Mario Batelli, Emeril Lagesse, are advertised in brochures and on buildings to lure vacationeers in to taste their recipes. There are even foodie tours and endless buffets. I can sum up Las Vegas as a vacation PLAYGROUND waiting to be tapped for continuous ENGAGEMENT. Can you tell that I am enjoying our family vacation here in Las Vegas, Nevada? 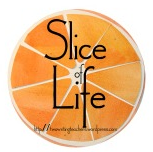 While on a family vacation, I decided to carve out some time to digitize photos and write a slice for the Two Writing Teachers' Slice of Life because the contrasts of Las Vegas inspired me. 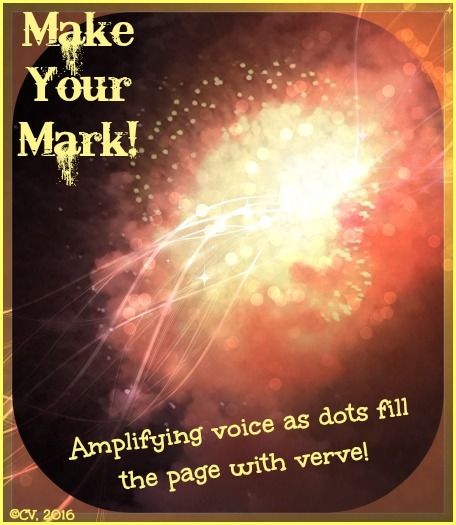 It's #International Dot Day-Let's Celebrate! 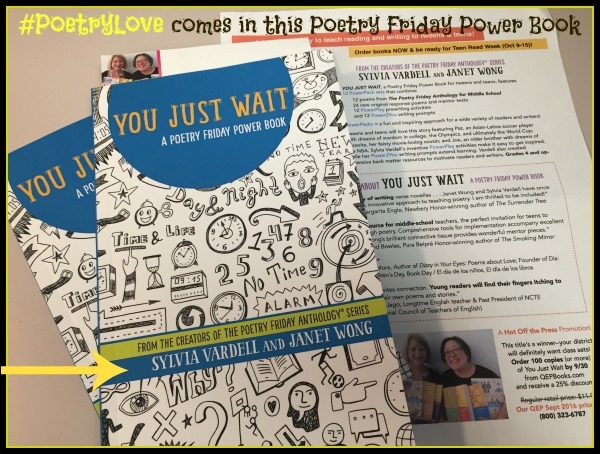 The fabulous author team of Janet Wong and Sylvia Vardell capture the essence of #poetry love in their newest book, Just You Wait, a unique text in verse for middle school students. 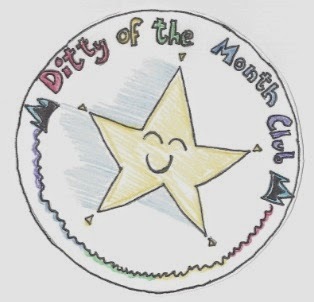 The book, a mini-poetry activity/journal/notebook allows students to become familiar with poetry as they learn alongside three delightful characters. Each of the 12 powerpacks introduce a power play activity, an outside poem, a response poem from one of the three characters of the book, a mentor text, and Power2You writing prompt. 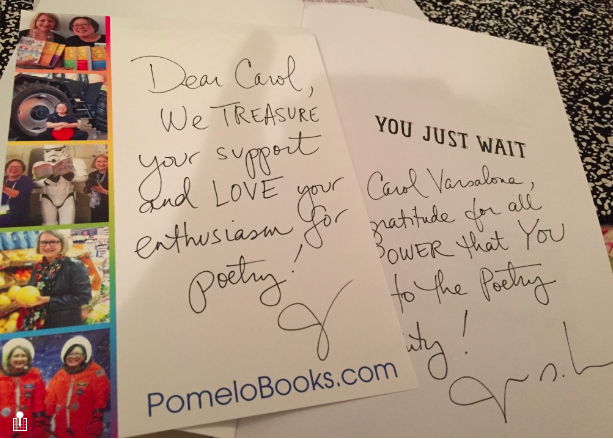 This book makes poetry engaging and accessible to all tween/teen readers. When Janet graciously offered to send me a copy of the book, she also sent me a second one for the regional meeting of literacy leaders on Long Island that I facilitated this morning. Since I am excited about the new book as a learning tool, it was easy to talk about its usage in the ELA classroom. 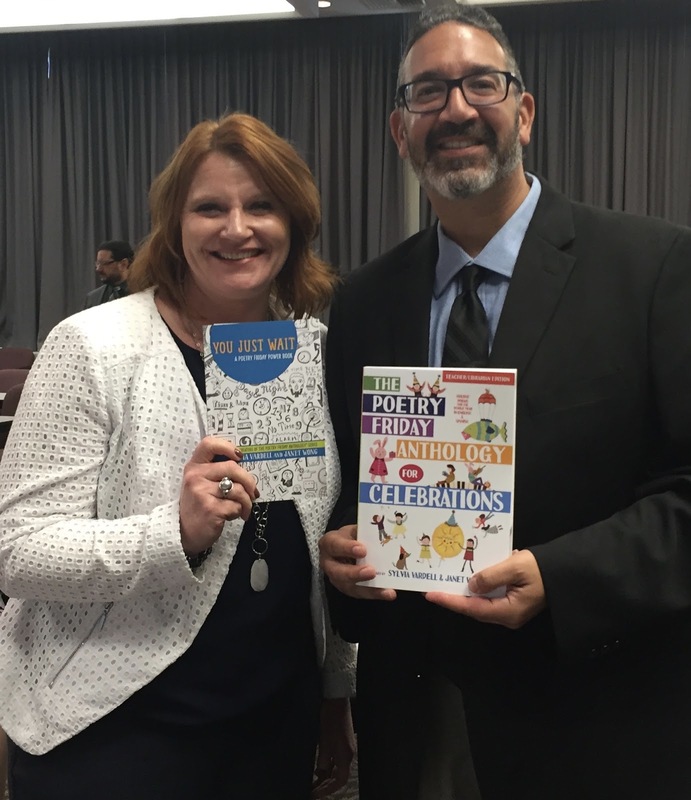 All educators at the meeting received an information sheet provided by Janet and Sylvia and one lucky administrator won You Just Wait and another The Poetry Friday Anthology of Celebrations. I am always eager to try out a new photo app that is recommended so I went into my store of nature photography and found one that is quite appropriate. I am leaving for a family trip to Las Vegas where the temperatures will be soaring into the nineties so summer heat is still on my mind. 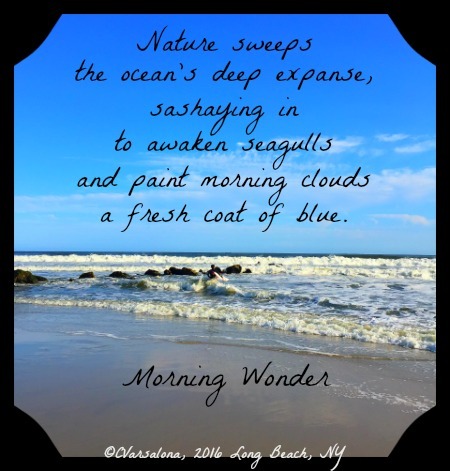 In the meantime, I will continue to enjoy morning wonders. 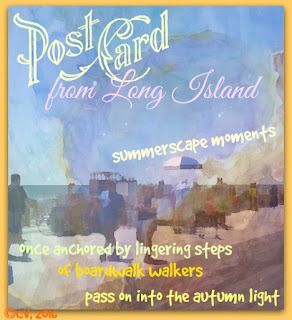 Stay tuned for the unveiling of Summerscapes when I return from my mini-cation. I most likely will be off the grid this week while traveling. 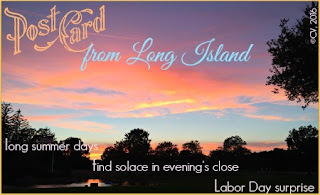 Now to join the Poetry Friday Round-up, I turn to my colleague, Michelle H. Barnes at Today's Little Ditty. Michelle has created a septercet for Jane Yolen's septercet challenge. 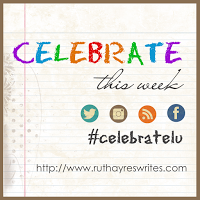 It's the end of a week when I share positive celebrations with Ruth Ayres and the blogging community at Celebrate This Week. 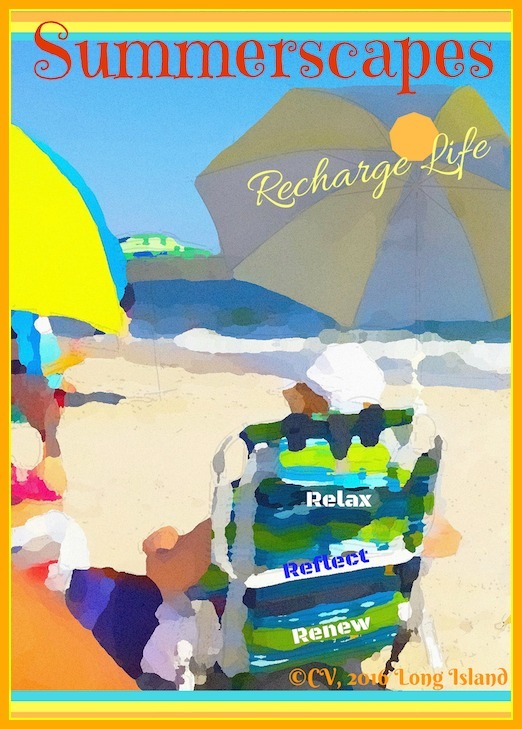 Creating a digital composition is like placing life in play mode. 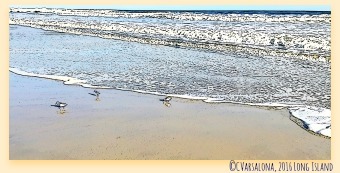 The joy of spontaneously capturing vivid images in natural surroundings sets my thinking in motion. The world becomes a playground of color, sound, and action with a lens in my hands. 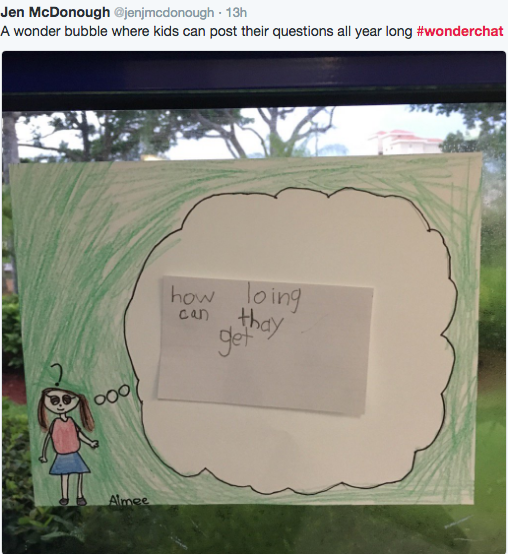 I observe, wonder, create and then tell a story digitally. My passion for photography and design started back in college. I distinctly remember a country ride outside of Albany, NY. The weather was temperate and the scenery was just so different than what I was used to back at the modernistic campus. Red barns and flower fields were perfect settings to capture pictures for a photo journal I was creating in my photography class. 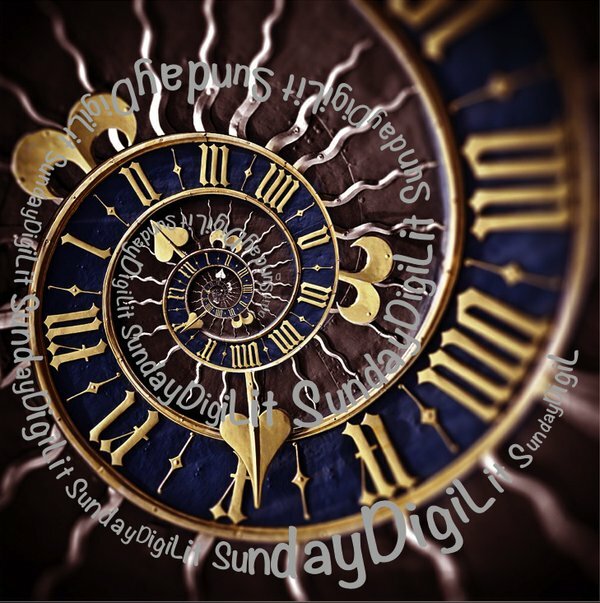 I noticed, wondered, played with photo layouts, and created a scrapbook portfolio. With the advent of apps and iPhones, I have advanced from photo scrapbooks to digital portfolios and global galleries of artistic expressions. The techno world of today allows me to couple writing with art, technology, and design in a digital playground of creation. 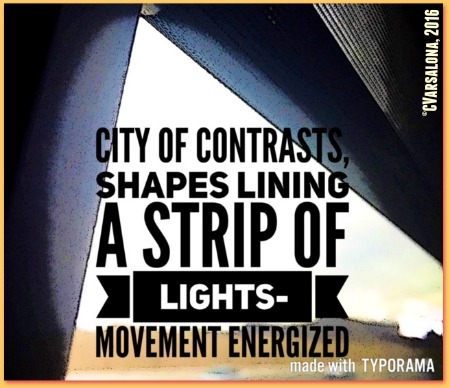 Images are shot; words revolve; writing flows. As I continue to play with digital tools, inspirational quotes, image poems, and or digital inspirations are created. Life stands still at these times in my office. 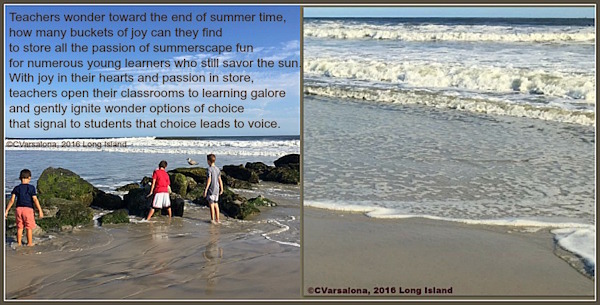 Play is celebrated; thinking honored; writing connects with life experiences. An example of this evolved when the storm, Hermine, started moving up the eastern seacoast with a reported destination to New York. Luckily, it fled from the Long Island shoreline. 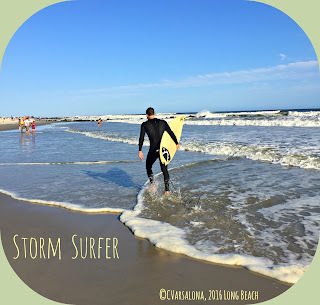 Witnessing the after effects of the storm surge, set my mind in motion and a story unfolded. Watching the children on the beach gleefully climb the dune to see what the ocean was doing on the other side set a playful tone to my picture taking. When I tried the same walk-over I was surprised at how difficult it was. 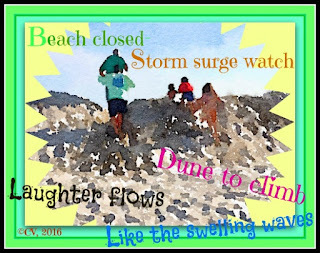 Shifting sands only found me sinking into deep holes until I figured out how to transverse the dunes. Life was surreal as I watched the surging waves. The baby seagulls were having just as much fun as the children. 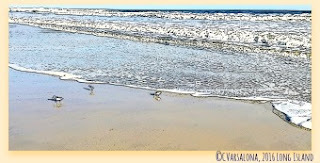 They darted toward the flowing water and quickly waddled back as the waves moved closer to shore. 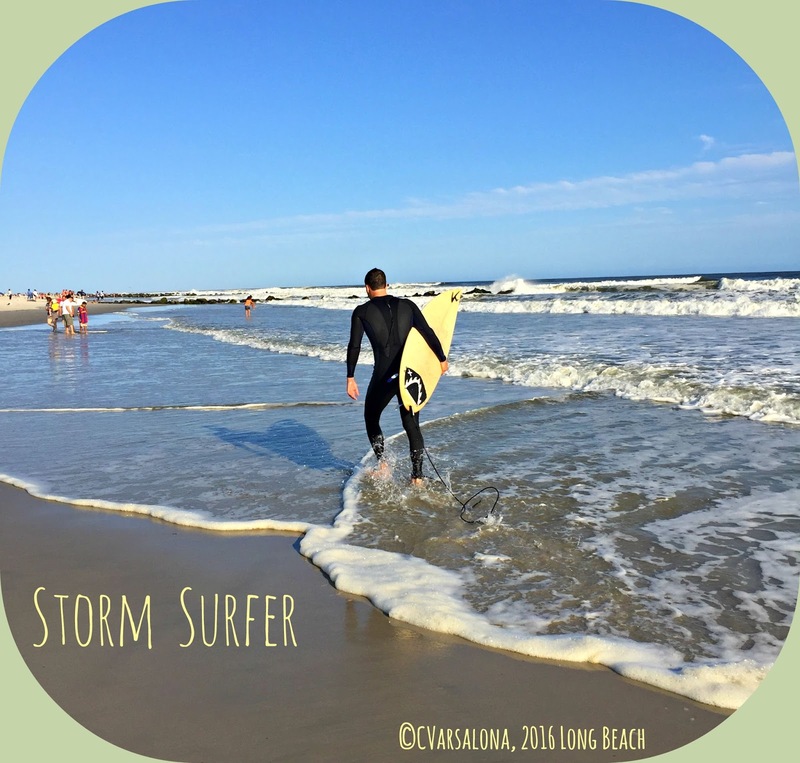 The surfers darted in and out of the ocean as they decided how to ride the waves. I delighted in capturing all of us this and then deciding what to digitize. I am turning around this passion of telling story through photography by providing teachers with the tools to uncover the power of images. Given choice in the digital playground, students can observe the world with a different lens and tell their story. 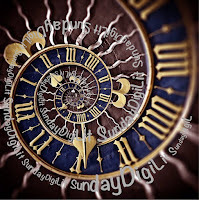 Margaret Simon opened DigiLit Sunday with a call to reflect. While this piece is being submitting, I spent a good deal of time reflecting on the Day of Remembrance tracing back to 2001 when my community was faced with a tragedy, the loss of 45 lives. 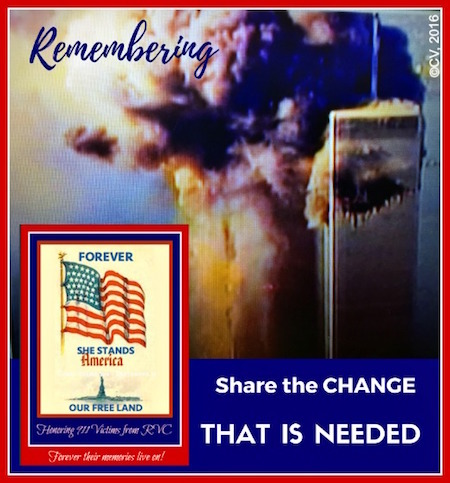 Please read Remembering #911 here. You can access others' thoughts here.